The Ariella is a petite, free form fiberglass swimming pool. We recommend the Ariella for home owners who live in urban environments with small backyards. It’s also a great choice for swimmers who want to enjoy a shallow swimming pool. The Ariella is a petite, free form swimming pool that fits snugly into any backyard with limited square footage. 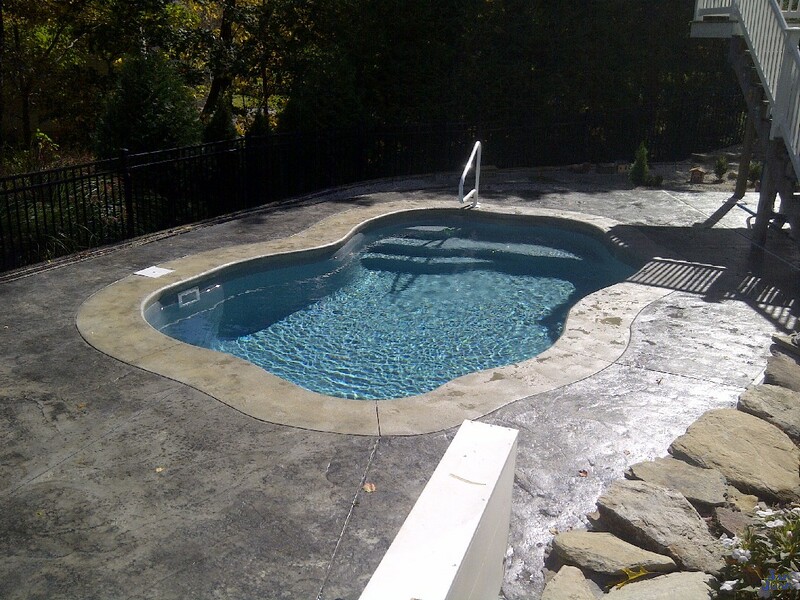 We love this fiberglass swimming pool because of its relaxed features and basic layout. 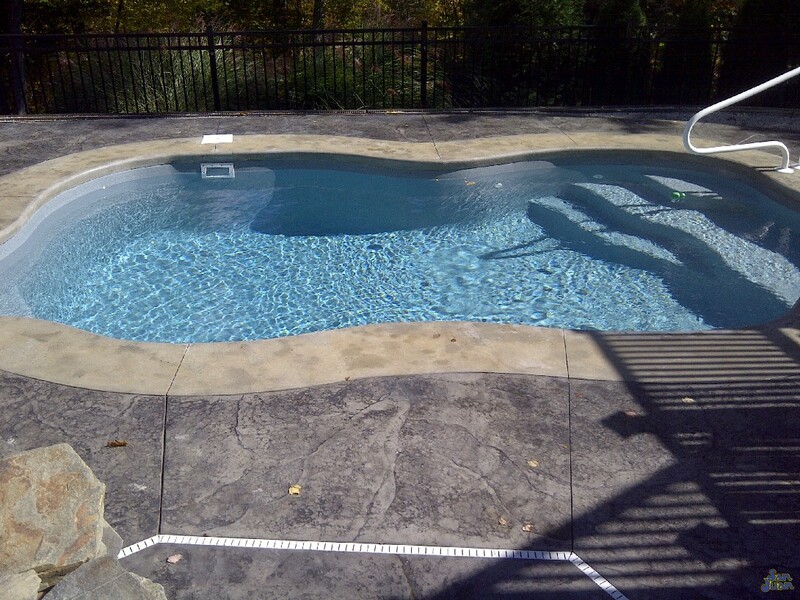 San Juan Pools designed the Ariella to contain all of the standard elements that home owners enjoy. From a shallow end bench, tanning ledge, standard hopper (deep end) & free form layout – it includes our popular features compacted into a small frame. We recommend the Ariella for home owners who live in urban environments or those who have limited yard space. The Ariella only takes up 179 SQFT with outside dimensions of 12′ width & 20′ 9″ length. Therefore, you could situate the Ariella into small backyard spaces or place it strategically in a specific location of a larger backyard. However you situate the Ariella, you’ll enjoy its narrow footprint and ease of maintenance! Upon entering into the Ariella, you’re immediately greeted by a beautifully curved set of shallow end steps. These steps give way to a wide shallow end bench; this can also serve as a tanning ledge. We decided to implement a curved set of shallow end steps. The main reason – it provides a lagoon style layout that is both relaxing and aesthetically pleasing. You are free to pair this set of entry steps with a handrail if you’d like to boost the safety and accessibility of these steps. Casting out into the deep end, the Ariella provides the user with a “shallow” deep end. Coming in at only 4′ 11″, it’s hard to even classify the hopper as a true deep end. However, the benefit of such a shallow space is the safety the Ariella provides its users. 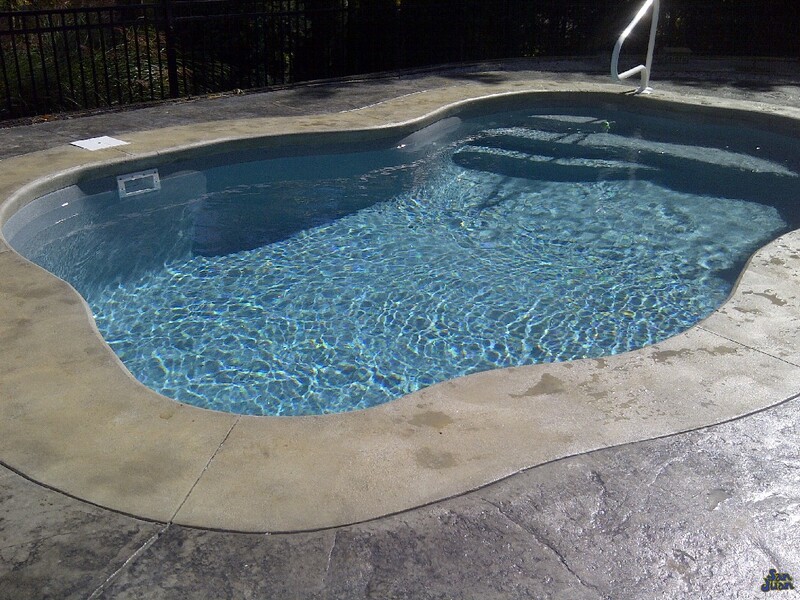 This fiberglass pool is a great option for home owners who invite guests, have a guest house, renters, etc. In essence, the Ariella provides a great swim space without the added liability of a deep end. In conclusion, the Ariella is a very special member of our San Juan Pools family. We are very grateful for our small fiberglass pool category because of the wide breadth of consumers that fit this category. 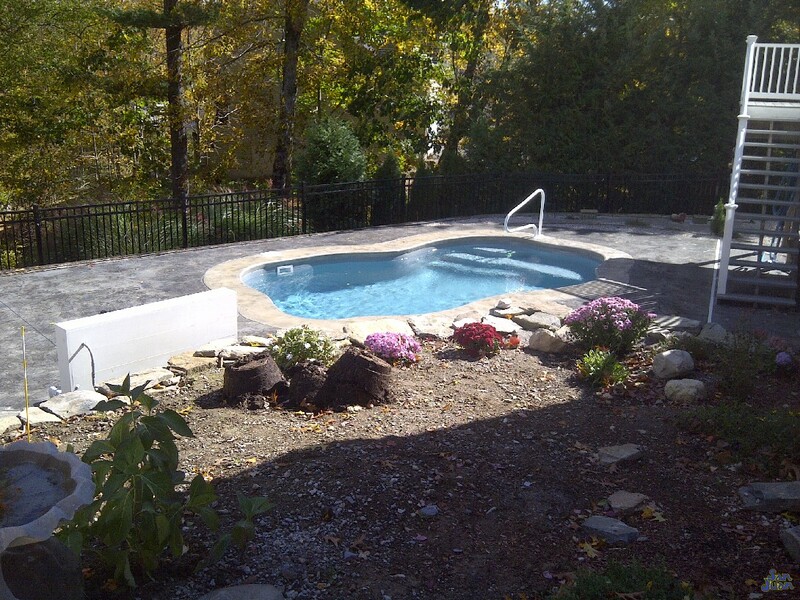 From urban homes to large backyards that want a smaller swimming pool; we can cater to a wide range of clientelle. In addition, the Ariella provides a gorgeous curved set of entry steps and a tanning ledge. 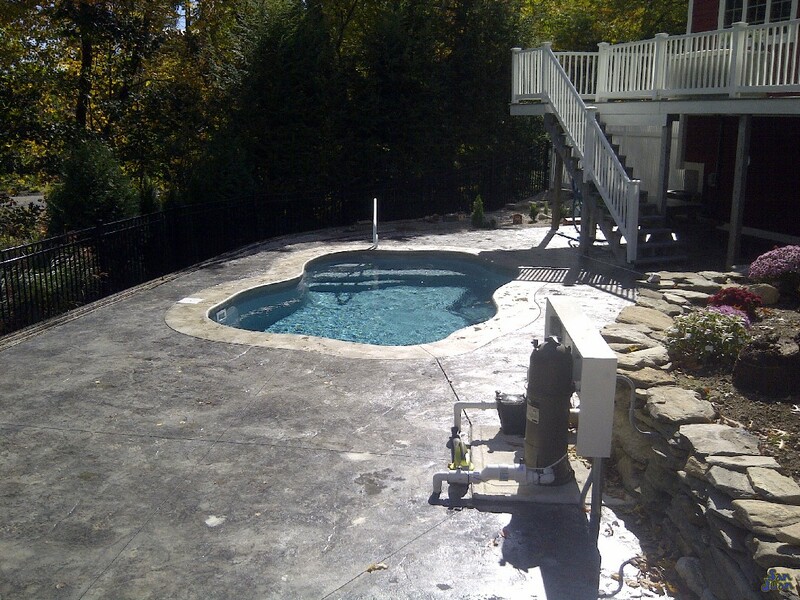 We kept the design of this fiberglass pool pretty simple and added a standard hopper with a maximum depth of 4′ 11″. Therefore, if you’re into entertaining, have grand children or want some peace of mind; the “shallow” deep end of the Ariella may be a perfect choice for you. All in all, this is a wonderful pool model that has a lot to offer in its compact design. Contact us for a free estimate today!